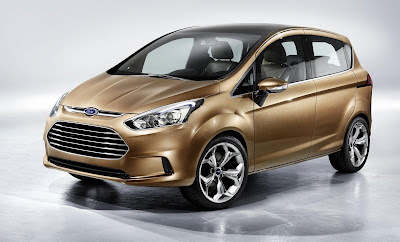 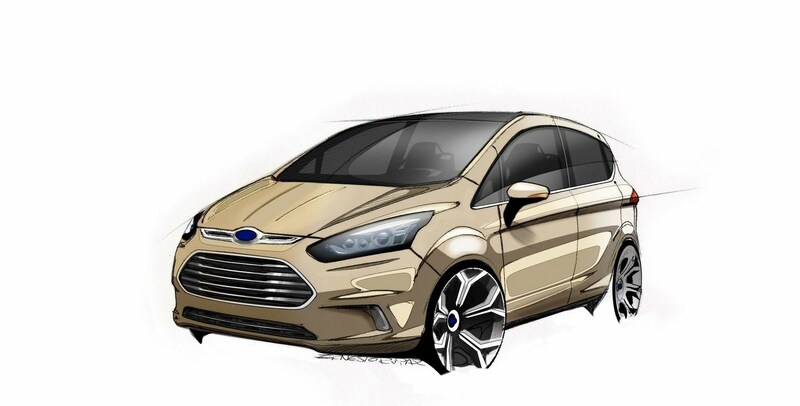 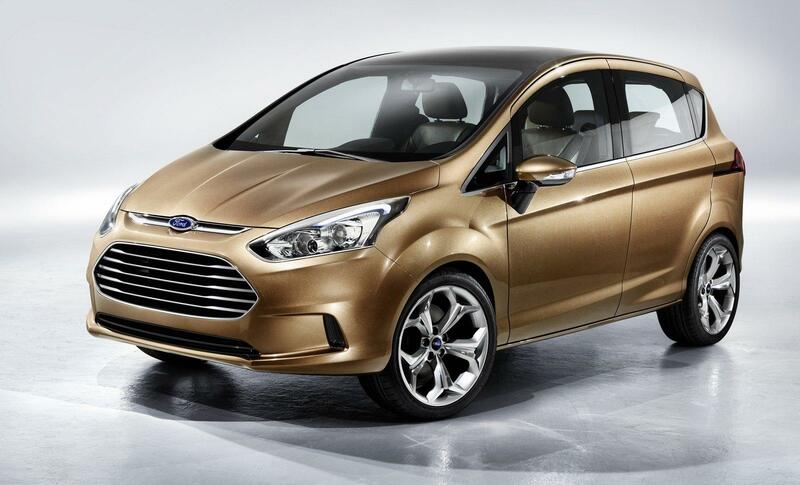 Photographers have caught the first pictures of Ford's upcoming B-Max sub-compact MPV. 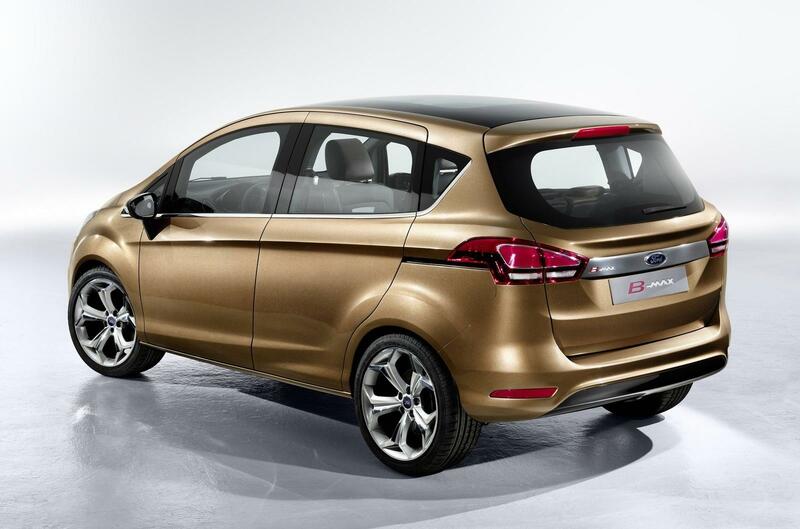 Echoing the concept, the B-Max will be 320mm shorter than the C-Max but still offer a similar amount of space. 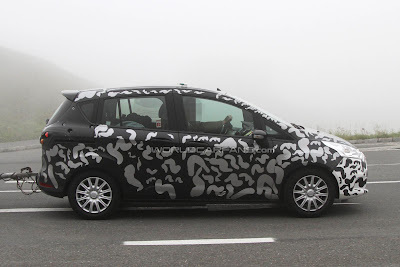 Interestingly, the prototype sports an integrated B-pillar in its sliding doors to ensure better access into the cabin. 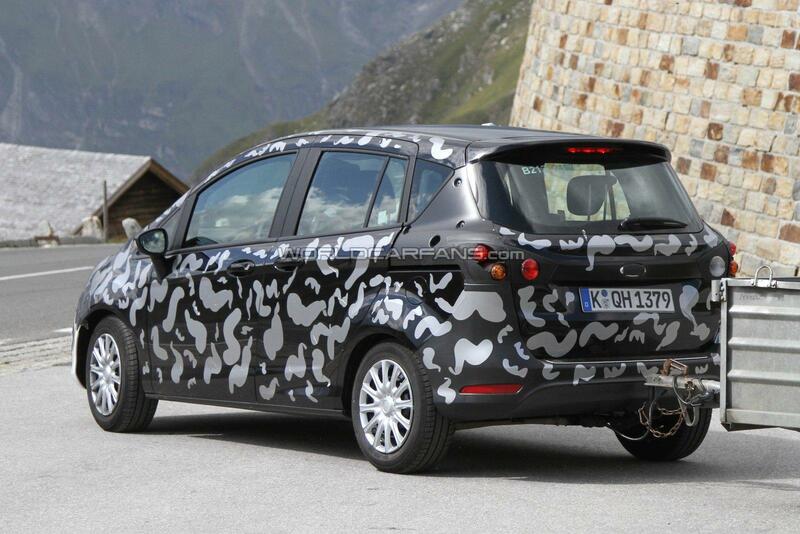 The rear cabin will feature sliding rear seats with reclining and 60/40 split folding. The B-Max will underpin the Fiesta, so expect the engine range to mirror the supermini. 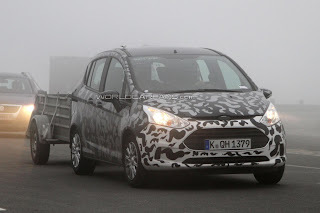 Additionally, the a three-cylinder 1.0 litre EcoBoost petrol will feature. 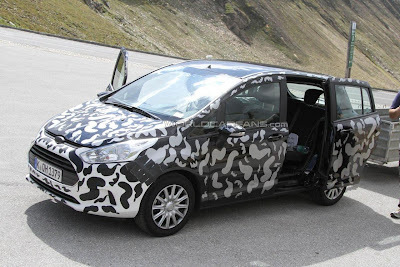 The interior will also mirror that facelifted Fiesta, itself due in early 2012. The B-Max will premier at the 2012 Geneva motor show before going on sale in Summer 2012. Check out the comparasion between concept and pre-production.